Family Day. All ages welcome. These are adorable! How could you not want to paint one of these vintage trucks?!?! 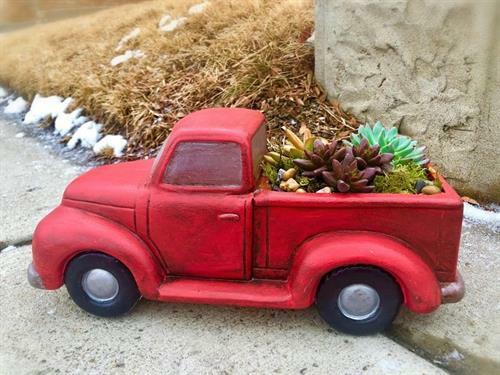 Size: 6" x 6.5" x 13.5" Add succulents, flowers or holiday decor to your truck and use it year round. We provide all the materials, instructions and jokes needed. Must Pre-register online to reserve a truck. Please enter your name and credit card information on the Artisan Alley Website. Cancellations must be made 48 hours in advance of class start time in order to receive a full refund.